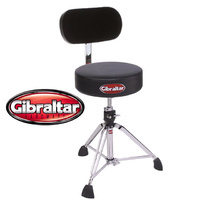 The Wide-Rider’s front cutaways allow unimpeded movement for your thighs, for drummers who prefer this style. 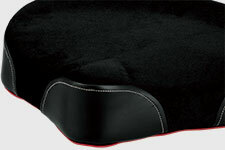 The Wide-Rider is available with a durable PVC seat (HT530B), or a newly designed cloth top seat (HT530BC). 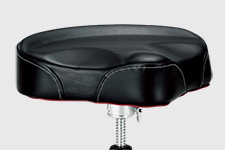 The Wide Rider seat employs a saddle-type seat made using a molded urethane foam cushion that will hold its shape for years. 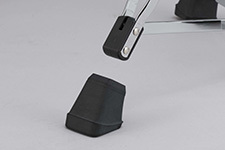 A 12mm thick plywood base below the seat cushion provides extra strength and security. 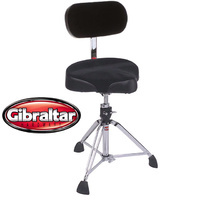 Our newly designed cloth top features a special fabric material that wicks away perspiration and prevents drummers from slipping while playing. 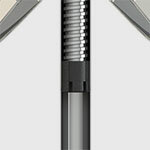 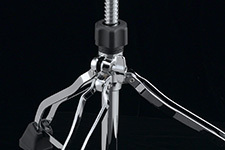 This Glide-Tite Grip Joint allows for a more secure attachment by using a metal-to-metal contact point. 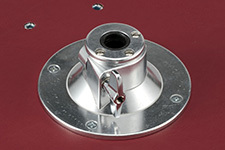 It is an extremely solid base attachment, even for the heaviest hitters. 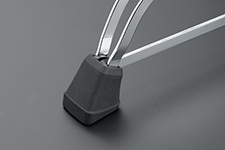 This is a great design that utilizes two-piece locking hinge collar system for superior throne base to seat connection and oversized wing nut for easy and secure tightening. TAMA removed the "wobble" which can typically affect the seat to throne base connection. 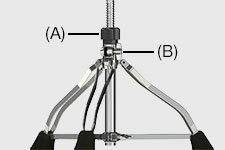 By lowering the distance of the center throne pipe to the floor, a lower center of gravity was achieved. 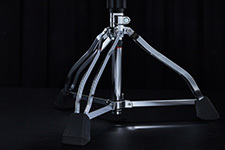 Additional stability improved by lengthening the tripod leg stabilizer bar and designing double-braced tripod legs that do not taper at the point they insert into the rubber feet. 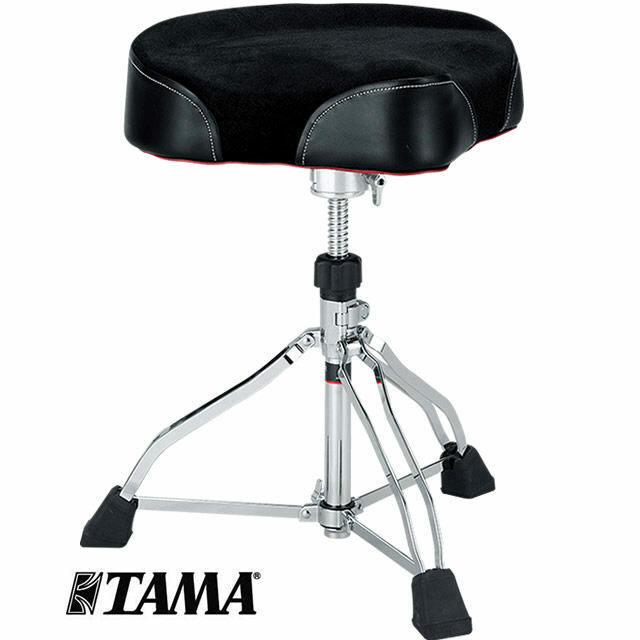 The extra-large rubber feet are 1.5 times larger than previous TAMA rubber feet to optimize stability.